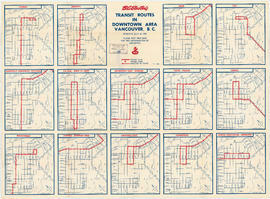 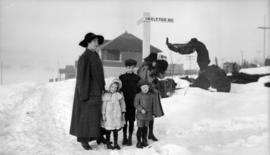 Map shows roads, trails, horse trails, street railways, beaches and buildings in Stanley Park. 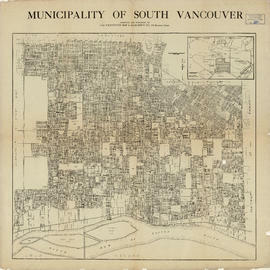 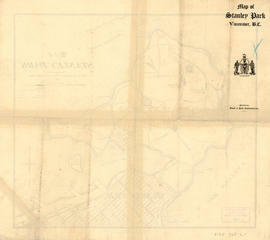 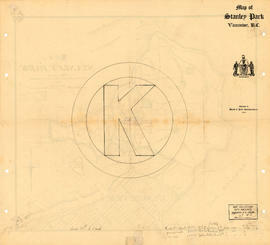 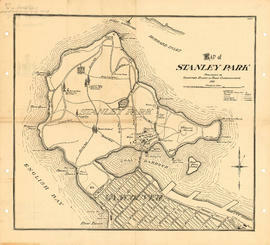 Map of Stanley Park, verso. 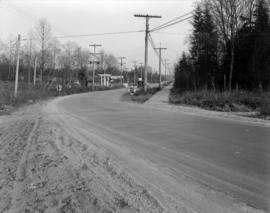 Railroad tracks by Lamey's Mill Rd. 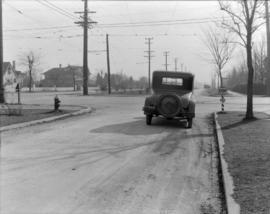 Photograph taken facing east. 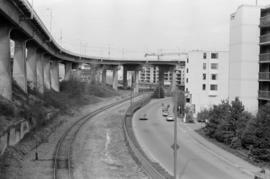 Hemlock on-ramp to Granville Street Bridge visible on left of photograph. 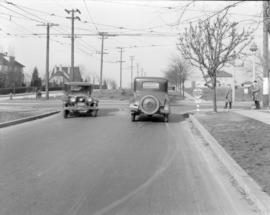 unidentified apartment buildings visible in background. 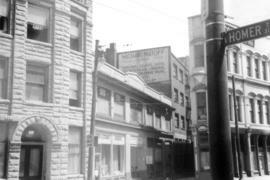 Photograph shows the Alley behind the Central building on Abbott Street. 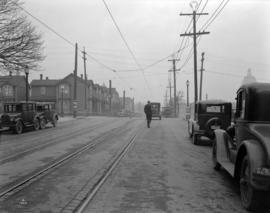 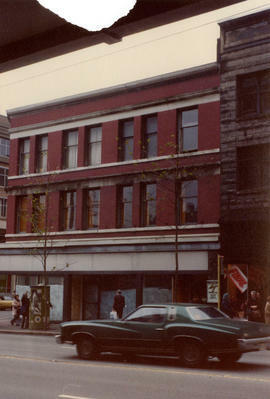 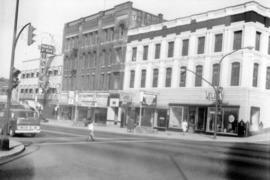 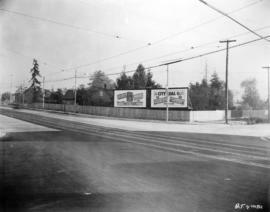 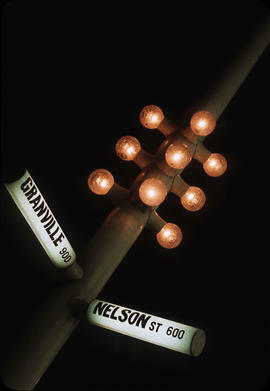 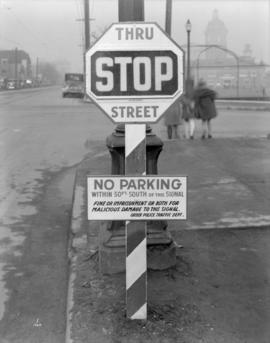 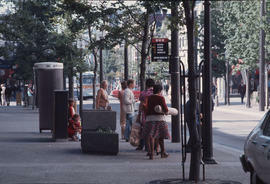 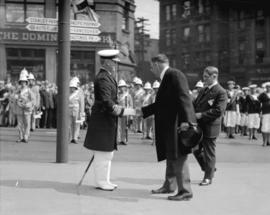 Photograph also shows parked cars, streets signs and pedestrians.